Local businessman Martin Loosmore, started his training to become a fully qualified craft baker in 1983. 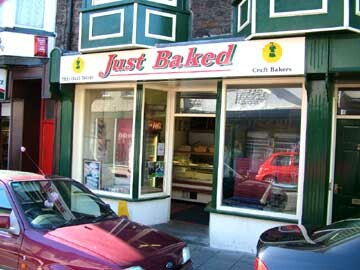 In 1991, within a few years of attaining his City and Guilds qualifications, he had decided to open his own bakery and 'Just Baked' was unveiled at the present site in Abercynon. Within a short time Martin had built a reputation locally for supplying top quality home baked bread, cakes and savouries and all at very realistic prices. It wasn't long before the local catering community became aware of the products and service that the bakery had to offer, and the business expanded into supplying local restaurants, clubs and public houses. In 2004 the business diversified with the opening Loosmore's Coffee Shop just a few doors along the street from the bakery, where many of the bakery's products can be enjoyed with a choice of beverages and a friendly chat. To ensure that the quality of the products is kept at the highest level, Martin insists that only top quality ingredients are used in the baking process and that all of his staff are fully qualified or trained in house.